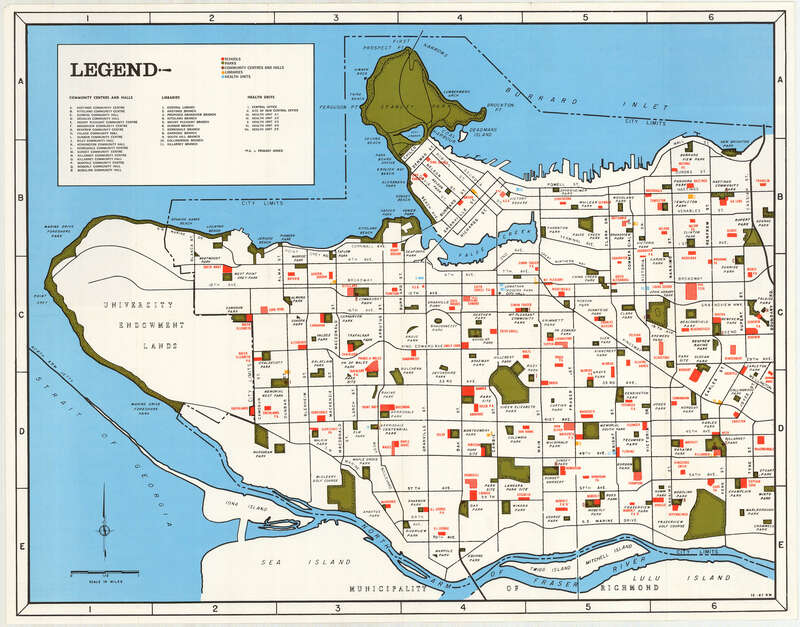 Item is a map which shows locations for Vancouver schools, parks, community centres and halls, libraries, parks and health units. The map was designed to be folded as a brochure. 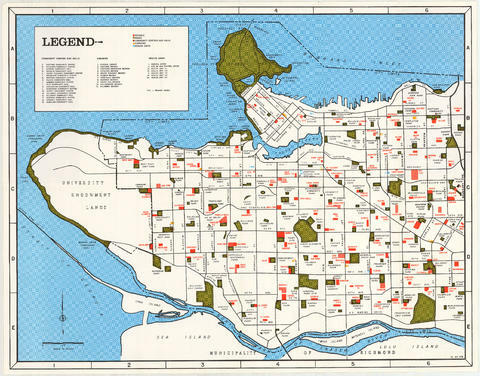 Copyright: City of Vancouver; expiry: 2031-01-01.